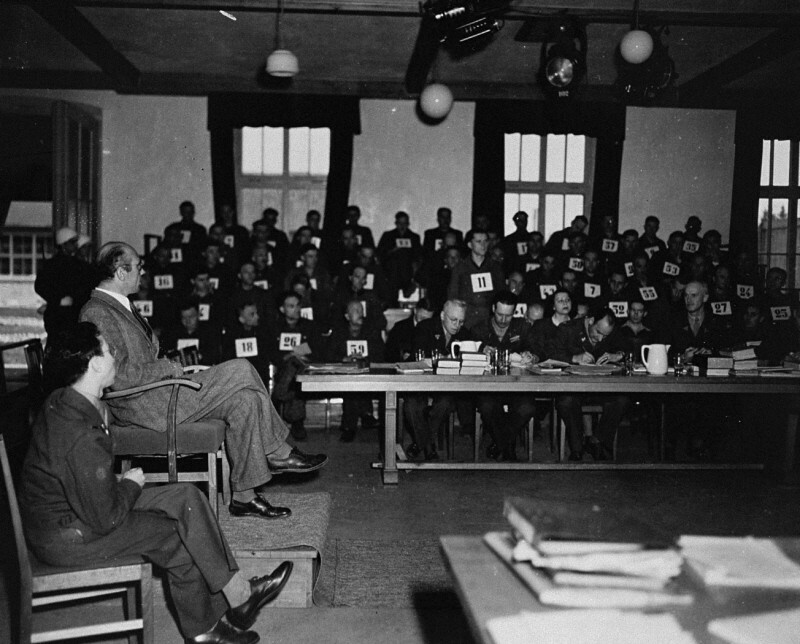 A witness testifies during the Mauthausen concentration camp trial. The man standing in the background is defendant Willy Eckert, a member of the SS. The trial took place before an American Military Tribunal in Dachau, Germany. March-May 1936.